AUSTIN — Texas Governor Rick Perry is expected to sign a controversial abortion bill into law this week following its passage in the Senate late Friday night. As previously reported, the battle over late-term abortion and other similar restrictions has been raging in Texas in recent weeks as pro-life and pro-abortion residents have clashed over the proposed legislation. Earlier this month, Senate Bill 5 (SB5) passed overwhelmingly in the Texas House of Representatives. SB5 includes stipulations that would ban abortions after 20 weeks of gestation –lowering the limit from 26 weeks–and also calls for increased medical safety standards in abortion clinics. According to recent reports, nearly 90% of Texas’ abortion clinics do not currently meet the bill’s requirements, and could face closure if SB5 is implemented. However, when the bill was introduced in the Senate, Senator Wendy Davis, a Democrat from Fort Worth, led an 11-hour-long filibuster to delay voting on the bill, resulting in its defeat. Frustrated by the matter, Governor Rick Perry soon after called for a special session of the Texas legislature, in part so that the bill could be voted on fairly. However, pro-abortion activists piled into the rotunda and outside the legislative building to take a stand against the measure. When met by pro-life residents, abortion advocates would often break out into chants, including “Hail Satan.” Some reports state that police had to confiscate bottles of urine and feces from some protesters, who had planned to throw them during demonstrations. Late Friday night, the state Senate voted 19 to 11 to pass the legislation, which was followed by angry chants of “Shame! Shame!” from demonstrators. 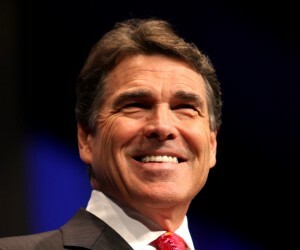 On Sunday, Perry told reporter Candy Crowley of CNN that he feels 20 weeks is enough time for women to decide to abort. “Most people, I think, in this country–and in Texas certainly–believe that six months is too late to be deciding whether or not these babies should be aborted or not, and we put the limit at five months in this bill,” he said. However, some pro-life organizations across the country expressed disappointment as they believe that abortion should be outlawed, not regulated. Perry is expected to sign the bill into law later this week.